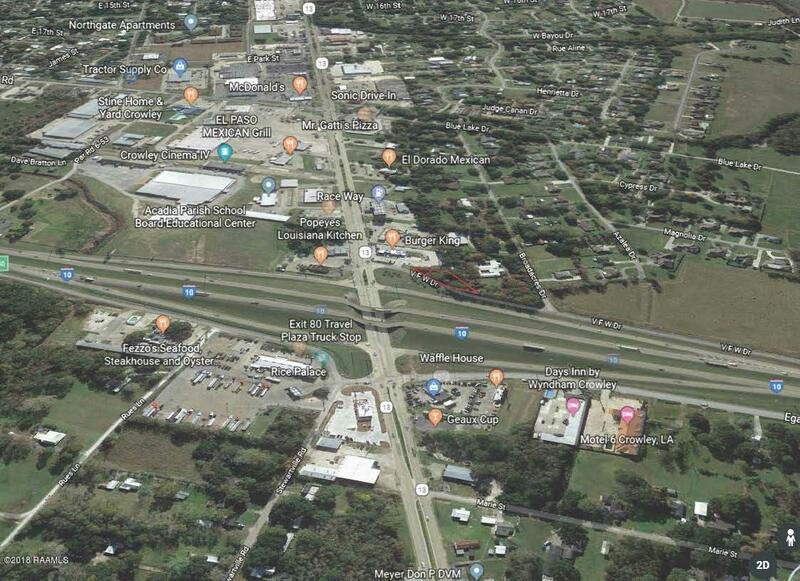 Commercial Land opportunity right off of the interstate in Crowley! This property is triangular in shape giving you the most road frontage possible for a smaller piece. 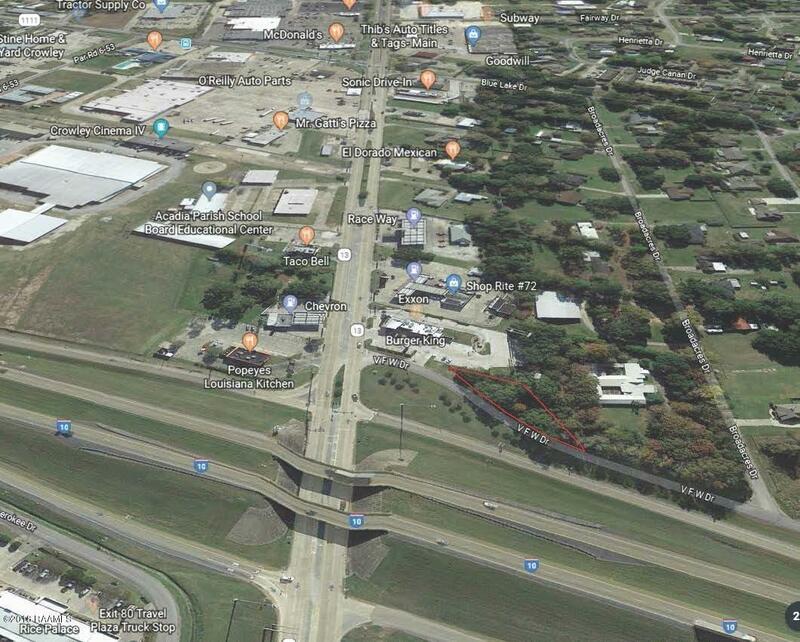 This conveniently located lot currently has shade trees and a hurricane fence. Priced under $45, 000, this is a rare find for property with interstate visibility. Don't let this property sell without you.